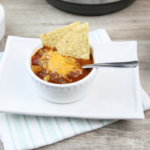 Instant Pot Wendy’s Copycat Chili is a Delicious, Easy Way to Have Dinner on the Table Quickly! We love Instant Pot Ground Beef recipes! Some of our favorites include Instant Pot One Pot Spaghetti and Instant Pot Cheeseburger Macaroni. 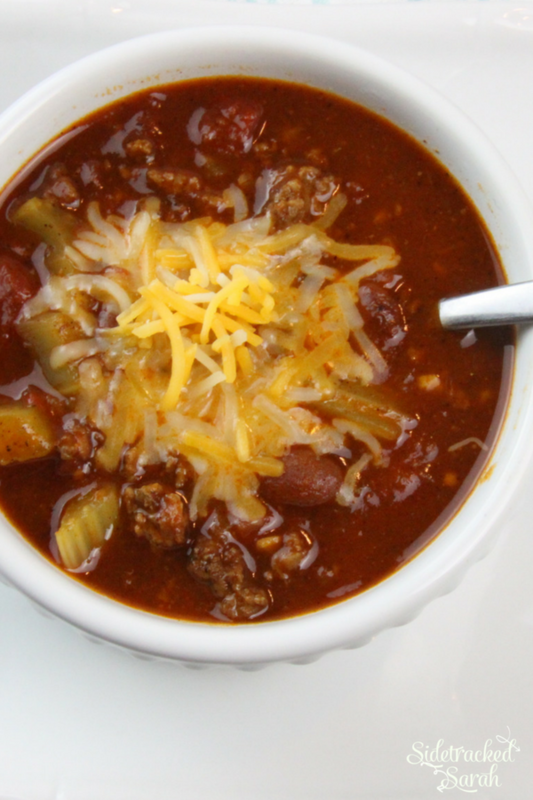 Chili is a family favorite for so many people. There are a lot of ways to make it, but this recipe is definitely one of the best! There’s something for everyone – lots of ground beef, plenty of vegetables and chili beans, and just enough heat to satisfy. 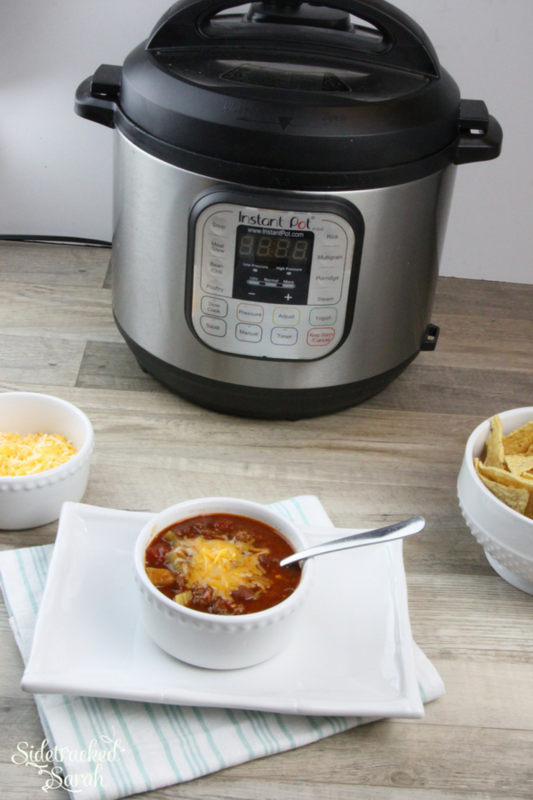 With your Instant Pot, you can have chili on the table in minutes instead of hours! WILL THE CHILI SCORCH OR BURN? I love to have a pot of chili simmering away on the stove, but if I don’t babysit it, the bottom can easily scorch. In order to avoid this in the Instant Pot, don’t stir the tomatoes in before securing the lid. Instead, layer them on top of the other ingredients. That way, the sugars in the tomatoes won’t caramelize and scorch – they will simply meld right into the chili. When you release the lid, just give the chili a quick stir! CAN I MAKE WENDY’S COPYCAT CHILI ON THE STOVE TOP? You can, but it will take longer. You will also need to add in more liquid to account for evaporation and stir occasionally to avoid scorching. 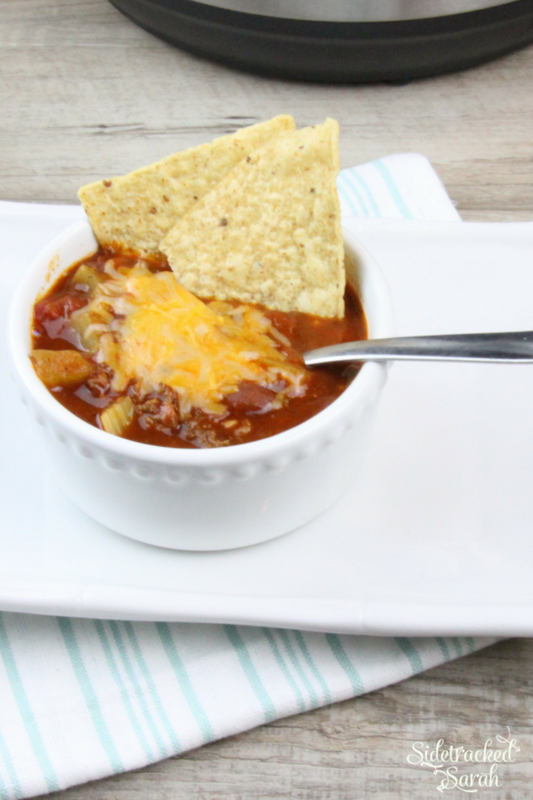 WILL INSTANT POT WENDY’S COPYCAT CHILI FREEZE WELL? It freezes beautifully! Actually, chili is one of my favorite dishes to have on hand in the freezer. It’s so comforting and versatile! I would not suggest doubling this recipe, as it may not fit well in your Instant Pot. However, it is so quick and easy to make that you can whip up a batch whenever you have a few spare minutes. That way, you will have plenty on hand! This recipe is sure to become a family favorite. Pair it with my Southern Cornbread Muffins for a meal everyone will love! Add chopped onion, bell pepper and celery. Add chili seasoning and water. And chili beans, diced tomatoes, diced tomatoes & green chilies, and tomato sauce. Cook on manual/Pressure Cook, high pressure for 10 minutes. Either Quick Release or Natural Release, depending on the amount of time you have. Once all steam has released, open Instant Pot and stir. 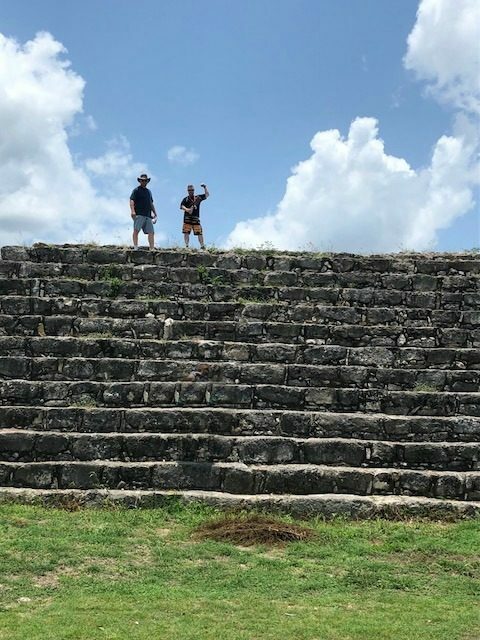 My husband and our friend Greg on top of a Mayan ruin on the Yucatan Peninsula. It was extremely interesting studying the ruins and the people that lived there. Did you know that there are still people there that speak the language of the Mayan people as their primary language?